Heynckes: "We played with real authority"
Munich - Jupp Heynckes on the difficulty of making football look easy, a sober evaluation of a bad day at the office from Jürgen Klopp and other coaches' reactions to the weekend's top Bundesliga matches. Jupp Heynckes (Bayern): "The result is a product of the collective effort of the whole team. We have a very strong squad and a very good atmosphere within it. That was a very poised performance today, we played with real authority. It all looked very easy - in fact, it's very hard to achieve." Jens Keller (Schalke): "Bayern are in a league of their own at the moment. They're a team of enormous quality and we didn't give it our best shot." 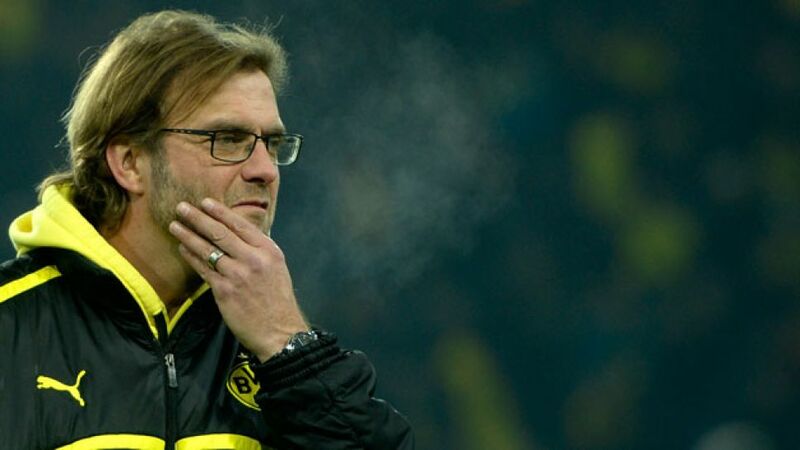 Jürgen Klopp (Dortmund): "Hamburg settled into the game better right from the off. After they went 2-1 up, it all got a bit hectic. The action that led to Robert Lewandowski's red card was unfortunate on his part. At the end of the day, we ran out of steam and spirit against a strong Hamburg side." Thorsten Fink (Hamburg): "This is a result nobody was reckoning with on the back of our home loss to Frankfurt. I made it absolutely clear to the players that they had to get forward at every opportunity here. We played well and earned the victory." Lucien Favre (Gladbach): "We were lucky to be in front at half-time and overall we can be more than satisfied with a 3-3 draw. We didn't play well before the break and we gave away possession far too often. It's difficult to play football when you don't have the ball." Sascha Lewandowski (Leverkusen): "We played a good, fast attacking game in the first half. We dominated in the style of a home team. But our defending against high balls was really poor. We need to be more efficient and professional in that department." Markus Weinzierl (Augsburg): "In the first half we had problems coping with Mainz's game. After they were reduced to ten men, we dominated the match. We're on 15 points now and within touching distance of Hoffenheim, who're coming here in two weeks time. And we're unbeaten this year - that's good for our confidence." Thomas Tuchel (Mainz): "I'm very satisfied with how the first half went. The red card [for Shawn Parker just before the interval, ed.] changed the whole contest. I'm 100 percent convinced that we'd have won the game with eleven men." Christian Streich (Freiburg): "On the balance of the game as a whole, a draw would have been fair enough too. But my team's will to win got its reward. It was great to finally score from a set-piece as well. There's no point in getting carried away here. If we earn the right to play another year in the Bundesliga, we'll be hapy. Everything else is just hot air." Norbert Meier (Düsseldorf): "We put in a really good performance and didn't let Freiburg get going properly. We got more and more of a grip on the game after the break and had some good chances of our own - and then we made that faux pas. You can't concede goals like that. We deserved a point."